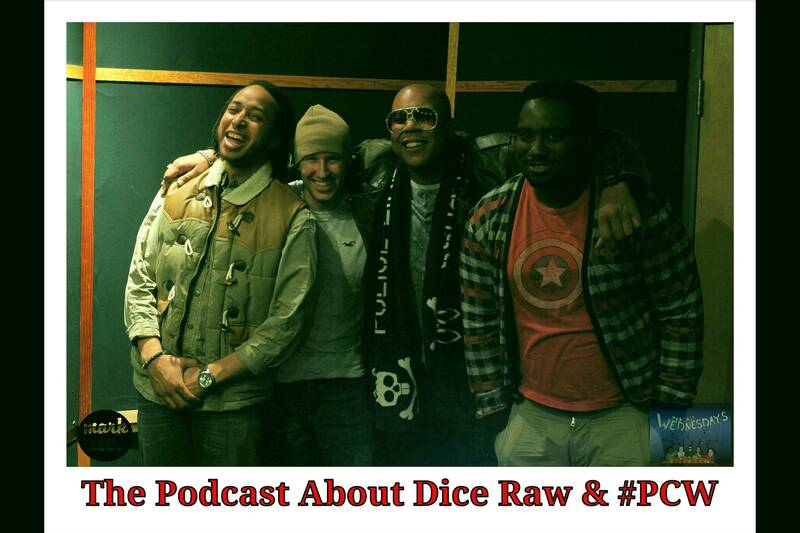 Wednesday on #PodcastWednesdays is the Season 3 Finale with our very special guest, Dice Raw. An affiliate of the Legendary Roots crew; Dice, a legend in his own right, hooked up with the band while still in high school after Kelo spotted him in a local talent show. The group quickly took the young rapper under their collective wings and decided to bring his talent along slowly. He made his debut in “The Lesson, Pt. 1.” Soon after, he made a name for himself with cameos on “Episodes” and “Adrenaline”, where his hard-hitting style complemented the heady rhymes of Roots leader Black Thought. Dice Raw has made several guest appearances on several mixtapes as well as very notable influences with.